Take on any adversary with this highly posable LEGO Star Wars Range Trooper buildable figure. This powerful character from the blockbuster Han Solo movie features tough armor and ‘magnetic boot’ detailing, furry shoulder cloak and tunic, as well as a blaster weapon with spring-loaded shooter. Star Wars fans will love battling with this cool LEGO buildable figure. 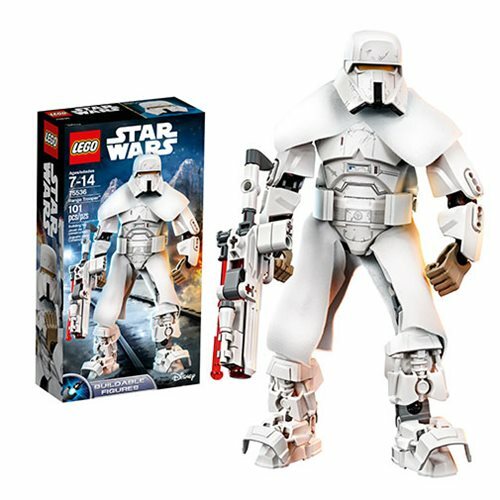 The LEGO Star Wars Solo 75536 Constraction Range Trooper includes 101 pieces. Ages 7 and up.